My family was arriving to join me on the drive by 2 PM flight. The plan was to pick them up and continue towards Phuentsholling. After discussion with H V Kumar, we finalized to end the day at Asansol. I spent morning just resting and then walked around the hotel. It was too hot. 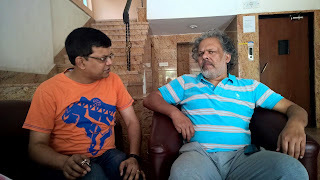 Fellow HVKian Sandipan Mallick dropped in to say hi and it was a great gesture which further underlines the value of a community like HVK Forum. Spent the lunch with a college friend Debashish Roychowdhury. Nice time with friends and nice food to go along with it. I was ready to continue with my journey. 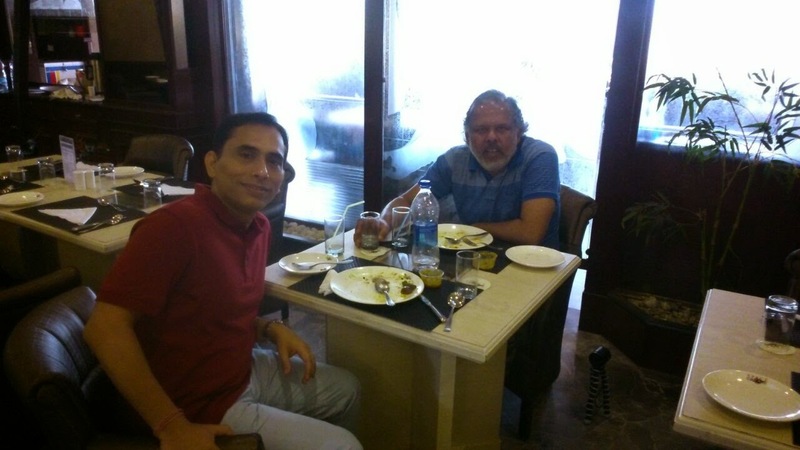 By the time I finished up with lunch, it was the arrival time for Delhi flight and I was off to Airport. 2:50 PM Started from Kolkata Airport towards Asansol. 5:10 PM Reached Asansol. Again the hotel was arranged by CHD and it was very close to the highway making entry and exit super easy. We finished the day early with good dinner served by the hotel retired early in the light of another early departure the next day.